Set of 3 for $110! 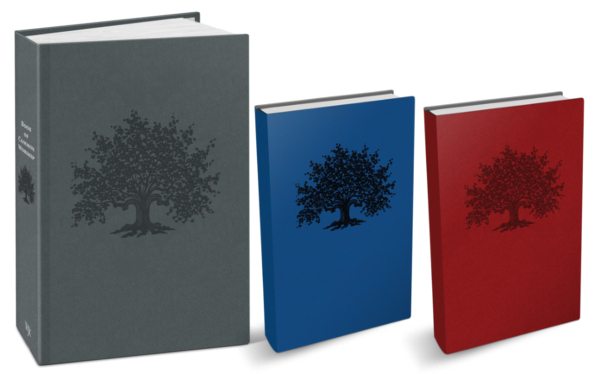 Purchase separately: Book of Common Worship $50; Pastoral Edition $35; Daily Prayer $35. We currently have several copies available at the Presbytery Office. Please click link below to place your order or contact Beth to pay and pick up at the Presbytery Office today! Over the last several years, more than 180 consultants and writers from across the denomination, representing today's broad, diverse Presbyterian body, gathered for one of six regional consultations to edit existing resources and write new material for the 2018 edition of the Book of Common Worship. Please indicate which you would like. We have these available at the Presbytery Office. Pay by check and pick up. Responsive to the many changes in the church and world since the last revision in 1993, the new edition has been reimagined and redesigned to meet the needs of today's church. It is more informative, more user-friendly, and more flexible. Want to see sample prayers, the full table of contents and more? Click here to access a digital brochure about the Book of Common Worship! numbers, and two indexes (scriptural and topical). allowing leaders to appreciate the rhythm, logic, and flow of the order of worship. with different contexts in mind represent the fullness of Christ's church. song (with hymnal numbers given). own will be equipped to do so.